The latest item in our little experiment is a growler made with semi-precious metal. 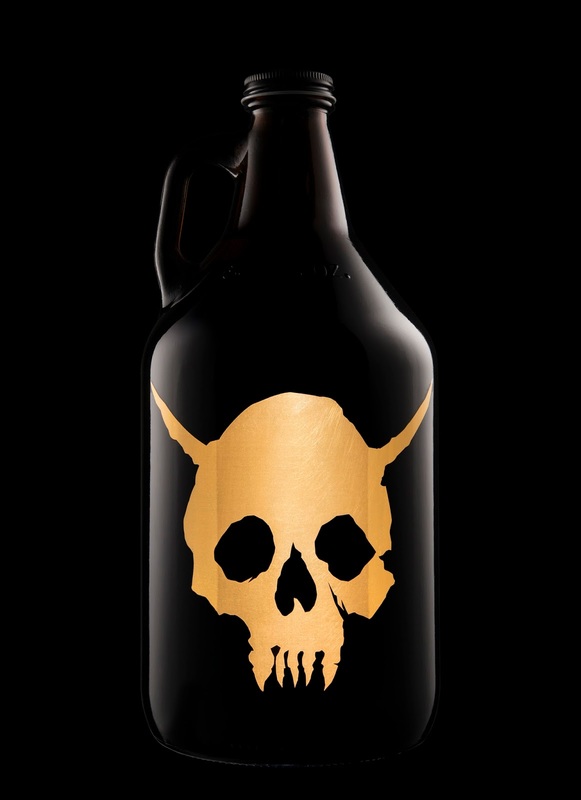 There's no ink on this growler... just gold. 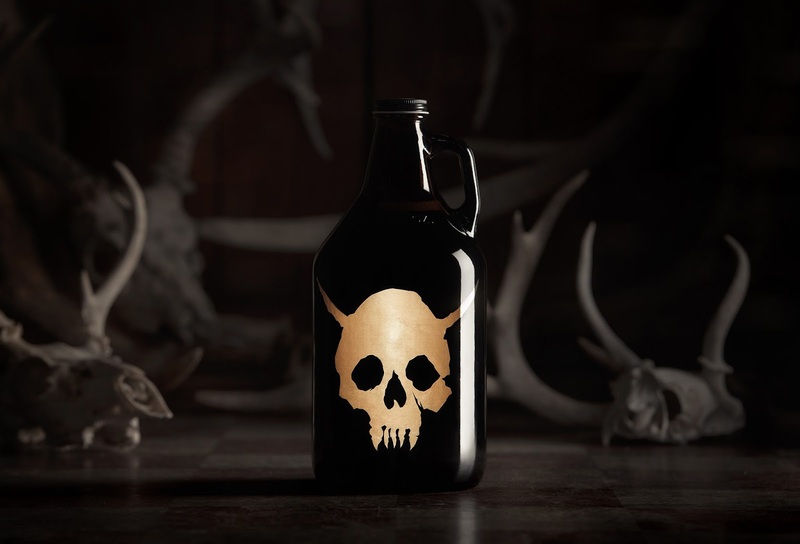 The design features a large gold demon skull on two sides of the growler with the Hired Guns URL running vertically in between. It perfectly fills the overlap in the Venn diagram between metal heads and craft beer geeks. 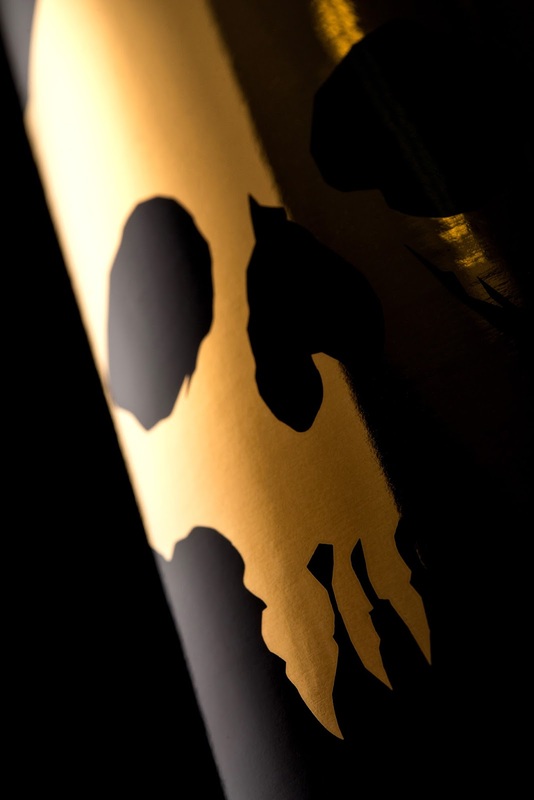 The bottle is a standard 64oz (1.89L) glass growler. Perfect for all the beers from all the breweries.